In 1916, May Gibbs published her first children’s picture book, Gumnut Babies, which has since become a well-loved Australian classic and a ‘must-have’ for every child’s bookshelf. With its combination of enchanting illustrations and stories inspired by Australia’s unique landscape, Gumnut Babies has been captivating young children, parents and grandparents alike for generations. 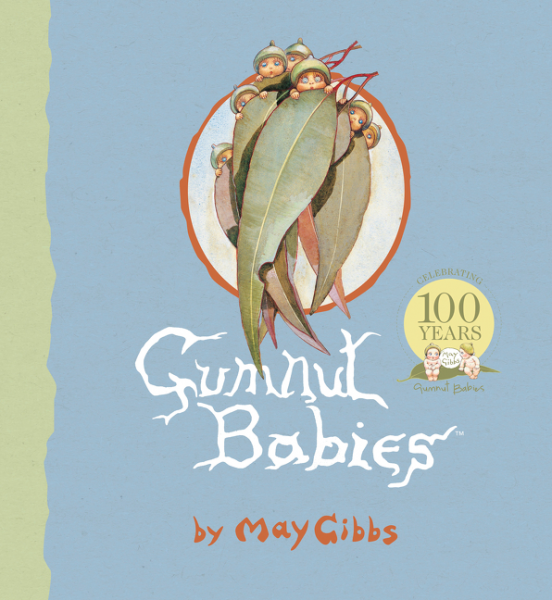 To celebrate the continued success of May’s iconic bush babies, HarperCollins Publishers Australia have released a beautiful new centenary edition of Gumnut Babies that has been redesigned to showcase May’s original illustrations and also includes a bonus biography on the enigmatic Cecilia May Gibbs. 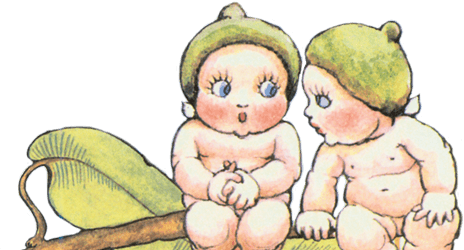 May Gibbs’s marvellous creation – the Gumnut world, with its tiny heroes and heroines and deliciously villainous villains – has fascinated generations of children since its first publication in 1916. Gumnuts at the races, at the ballet, and dancing at balls are some of May’s exquisitely illustrated scenes that have delighted us all. This beautiful new edition has been produced to mark the centenary of Gumnut Babies and contains the stories of Gum-Blossom Babies, Flannel Flowers and Other Bush Babies, Boronia Babies, Wattle Babies, plus Nuttybub and Nittersing and Chucklebud and Wunkydoo. The perfect companion for The Complete Adventures of Snugglepot and Cuddlepie.